You are looking northwest from the Franklin Avenue Bridge, over the Mississippi River. On the horizon at left is the downtown skyline. 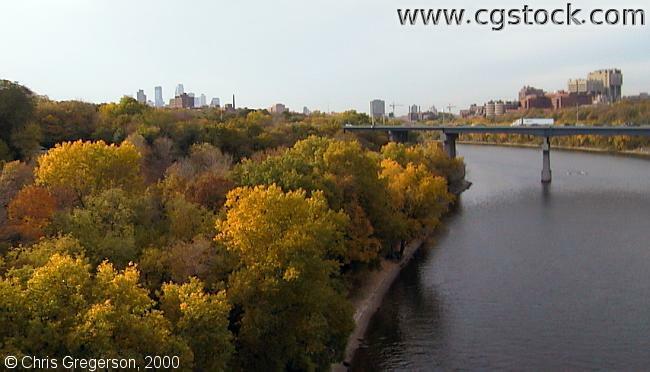 On the right horizon are several medical buildings from the University of Minnesota's east bank campus. The bridge up ahead is Interstate 94.